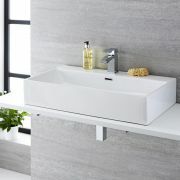 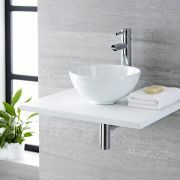 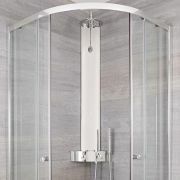 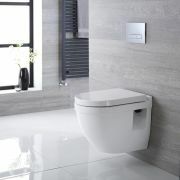 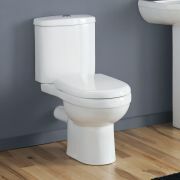 Even the smallest bathroom, en-suite or cloakroom needn’t be a barrier to creating a modern and eye-catching space. 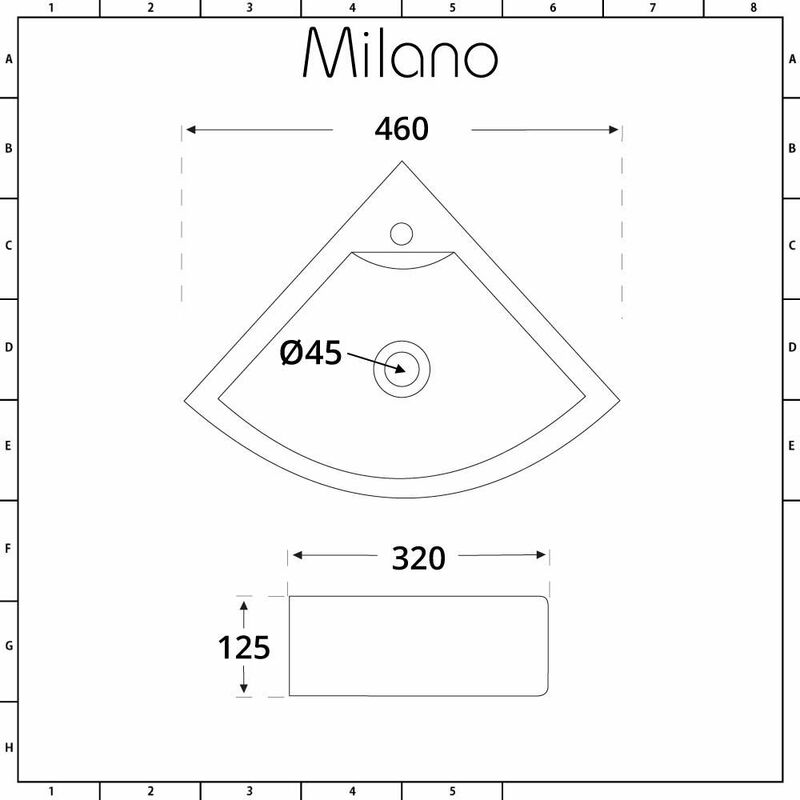 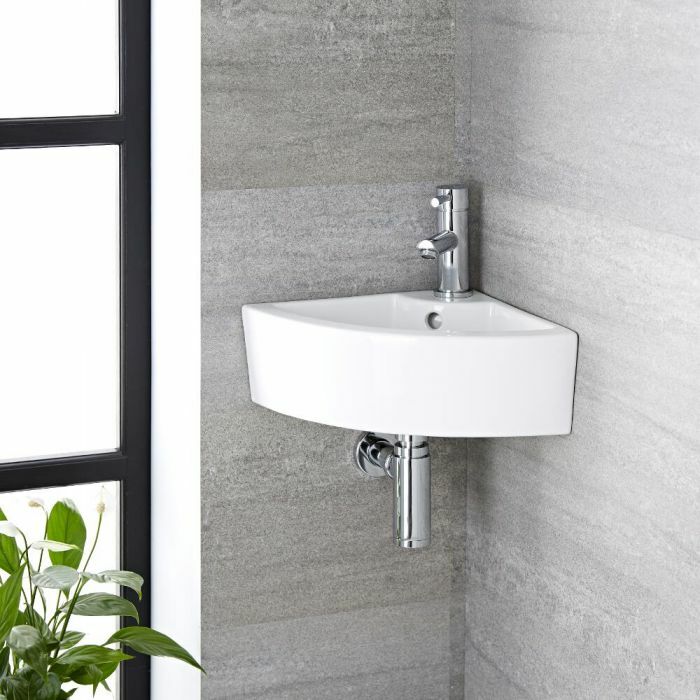 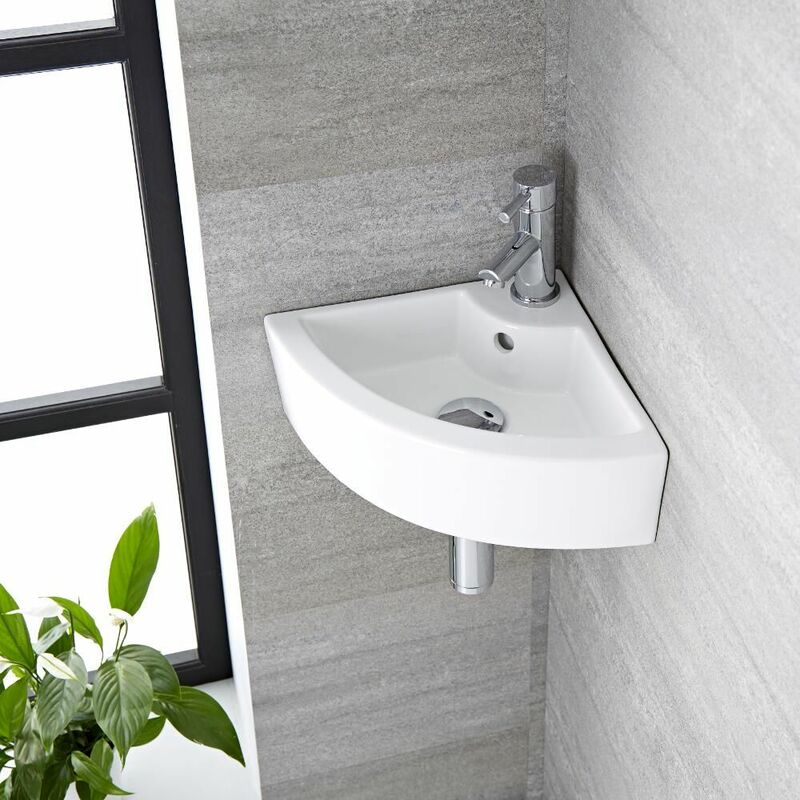 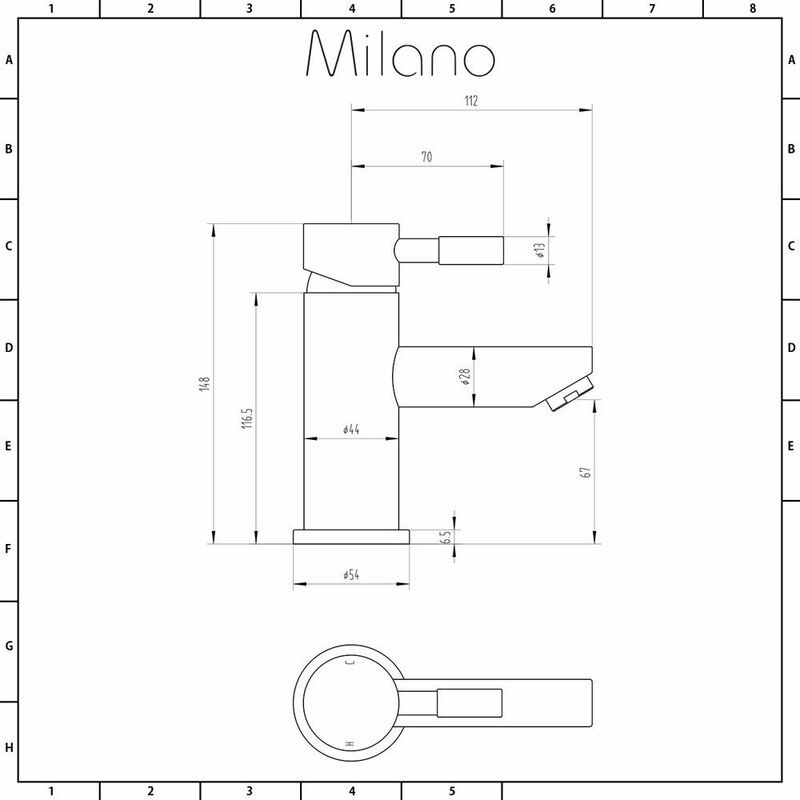 With the Milano Newby 460mm x 320mm wall hung corner basin and Mirage mono mixer tap you can add the functionality you need without having to compromise on style. 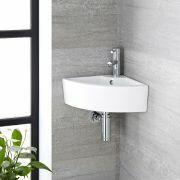 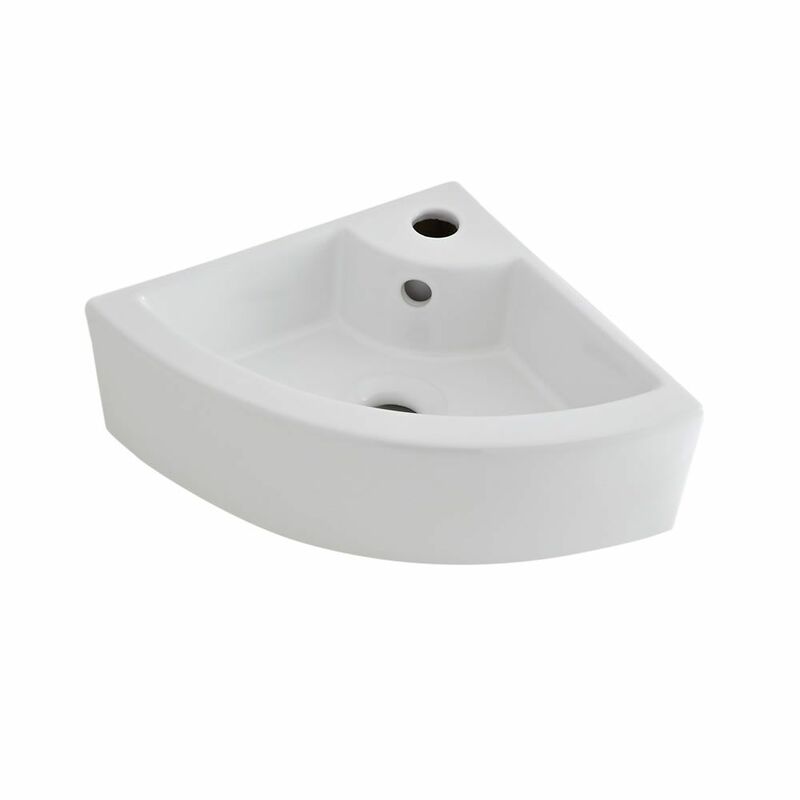 Combining a contemporary corner basin made from high quality ceramic and a solid brass tap you may be compromising on size but not on quality. 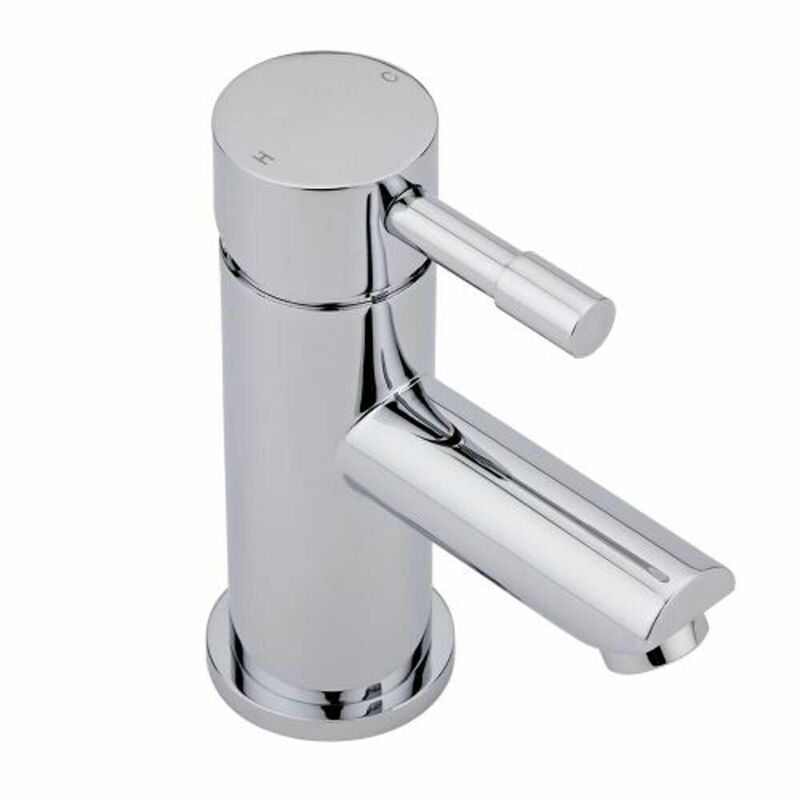 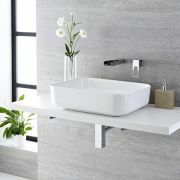 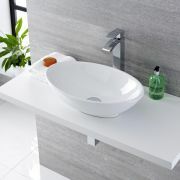 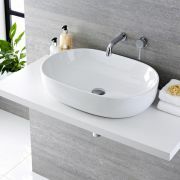 With a basin finished in hard-wearing easy to clean white glaze and a brilliant chrome finish on the tap you can be sure that this bathroom solution will be long lasting.